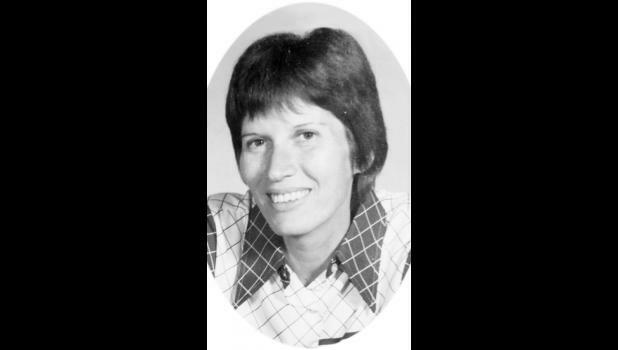 Elizabeth Louise Ernst Collinge, 75, of Edina, Mo., passed away Wednesday, Aug. 15, 2018, at the Blessing Hospital in Quincy, Ill.
She was born Aug. 25, 1942, in Holton, the daughter of Paul Joseph Sr. and Lena Marie Gerber Ernst. Liz graduated from high school in Holton, in the Class of 1959. She was married the same year to Thomas A. Bunker, and to this union a child was born, Deborah “Marie” Bunker, in 1960. She received her liberal arts BA in 1964 from Emporia State University, and her Master’s in Social Work in 1966 at The University of Kansas, Lawrence. Liz worked for the welfare department in Kansas City for many years as a social worker. In 1974 she moved to Texas, where she worked at Fort Hood Army Base as a drug and alcohol counselor. She then moved in 1977 to Topeka, where she worked for the VA administration as a family therapist until she retired. Liz received many awards and recognition for her work through the years. When it came time to write her mother’s obituary, Marie said, “I don’t understand why people do a resume for an obituary. It never captures the spirit of the person… My mother always fought for human rights, especially women, to make their own choices in life. The listing of her accomplishments do not do her justice. Liz would like to be fondly remembered for being a champion of people’s rights and choices." Liz is survived by her spouse, Roy D. Collinge, Edina, Mo. ; her daughter, Deborah “Marie” and husband Robert D. Owings of Monticello, Fla.; granddaughter, Kristen J. Owings of Monticello, Fla.; great-granddaughter, Lainey A. Watley of Lake City, Fla.; stepchildren Dr. Robert “Bob” and his wife Peggy Collinge of Edina, Mo., Mark and Susan Collinge of Eagle, Idaho, George Collinge of Fort Scott, Dennis and Kim Collinge of Fruita, Colo., and Martha Whitchley of Carbondale; 17 grandchildren; and numerous great grandchildren, nieces, nephews, cousins and a host of friends. She was preceded in death by her parents, Paul, in 1980, and Lena Ernst, in 1999; and a brother, Paul J. Ernst, in 2007. Liz’s wishes were to be cremated and buried next to her parents in Holton. An expression of sympathy in memory of Liz Collinge may be left to the Hospice of the donor’s choice or the Topeka Rescue Mission. A memorial may be left at or mailed to Doss Funeral Home, 208 N. Fourth Street, Edina, MO 63537.